easy and safe to operate! The interface of the ToolBox is highly intuitive. The SmartTechnology can be installed without requiring external programmers and special trainings for our clients' employees. Furthermore the installation of the ToolBox takes place without significant interruption of the production processes. 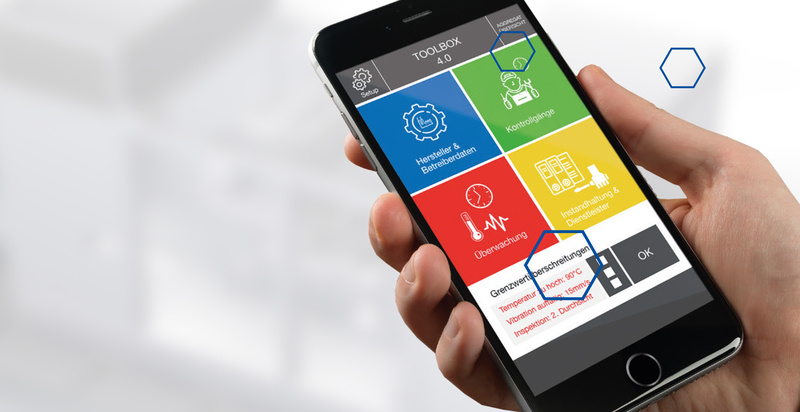 Our SmartTechnology allows the interlligent connection of industrial machinery as well as the comprehensive monitoring and controlling - and meets highest data security requirements all the time. The ToolBox is an independent network and does not intervene with control systems or with production processes. Are you interested in avoiding production downtime by optimizing and digitizing the maintenance processes of your industrial machinery? Feel free to try our basis module during a two-month-free-trial. Please contact Mr. Kellermann if you wish for further information or operational support.